Right on the Blue Flag beach at the end of the Rethymno promenade overlooking the Cretan Sea, 5-star Sentido Aegean Pearl provides stylish rooms and a Greek breakfast. The hotel features 3 pools and 2 gourmet restaurants. Providing a privileged position near the vicinity�s attractions, this small but beautiful hotel features a special architectural structure and is conveniently located in the centre of Rethymnon, by the beach. 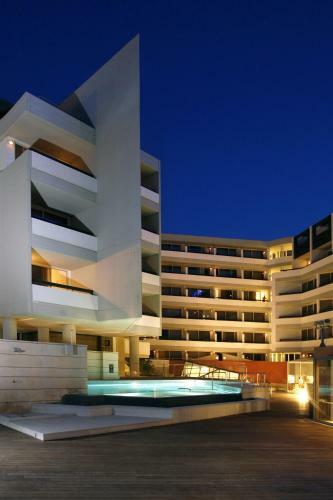 The 5-star Sensimar Royal Blue is a tranquil exclusive resort on the northern coast of Crete. A private bay, 38 pools, 4 restaurants and 4 bars are found within its 70-acre premises. Free WiFi is available throughout. 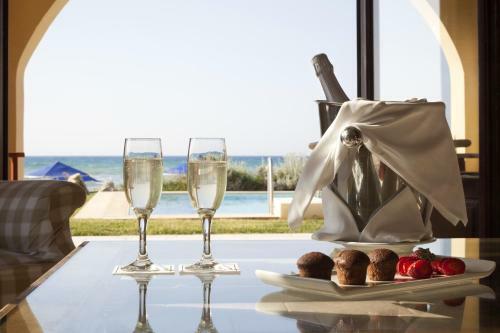 The luxurious Rimondi Boutique Hotel in Rethymno has a large patio with a pool and palm trees. It consists of 2 separate buildings built with a 20-year difference, offering various types of accommodation. Set in 80,000m� of landscaped gardens, this 5-star hotel includes 4 pools and 4 restaurants, located on a 500-metres long sandy beach. Just a 10-minute drive from Rethymnon Old Town, Aquila Rithymna Beach offers extensive children�s facilities. Lying directly on the sandy beach, the White Palace Grecotel Luxury Resort in Rethymnon Town offers 4 swimming pools, a sun deck, as well as 2 tennis courts. Located on the sandy beach of Rethymno and within a short walk from the Old Town, Aquila Porto Rethymno features 3 freshwater pools, a private beach and 2 restaurants.